I have a sign up form where the email address needs to be displayed, but cannot be edited (it is pre-determined, like an invite). Is it sufficient to grey the populated email field out to signify that it can't be changed? An argument against this would be to remove the users email from the form altogether and have it sit above the form. 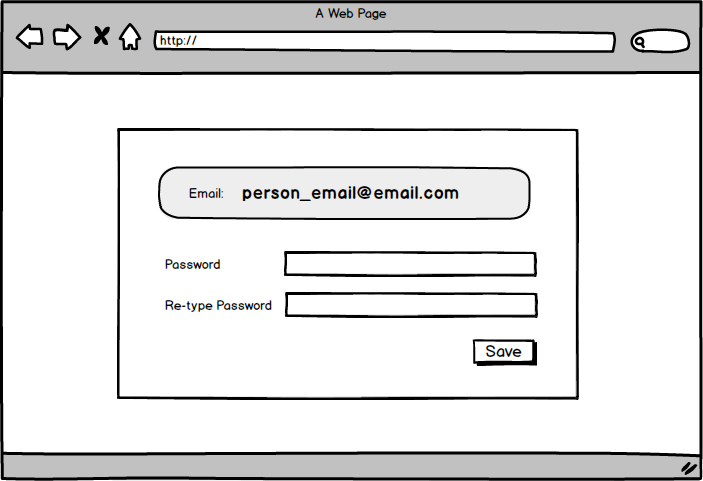 The reason for wanting it within a form field however, is to cement the fact that this is the email attached to the account and to keep it as close to the create password field as possible (create password & confirm password are the only other fields). There are other ways to make elements appear as part of a group. If you place the email address in a label above the form, but make the space between the email address and the first text box the same size as the space between the 1st and 2nd text boxes, then people will automatically see them as a group (gestalt principles). 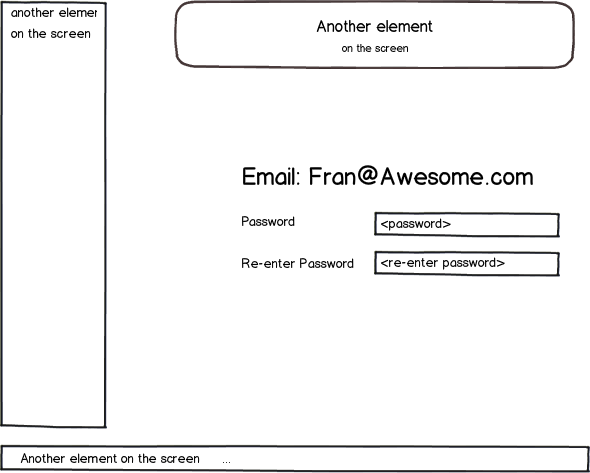 The space between this form and the other elements on the screen should then be much bigger. If you allow the user to the change email address, you may also do this on this format. If the user is not allowed to change email, Franchesca's answer above is a good approach. Not the answer you're looking for? Browse other questions tagged forms login information-architecture formatting information or ask your own question. How do I maintain flow during checkout? Which fields should be pre-filled with previously input information when there are form errors? What is best practice for currency padding/rounding when entering values in a text field? Scientific notation in an editable text field: is there a preferrred capitalization for the “e”? Allow users to upload account photo in “Sign up form”?